Also Known By: Malir (Baluchistan), Red Karachi, Sindhi The Red Sindhi originated in the Pakistani state of Sind but due to its hardiness, heat resistance and high milk yields they have spread into many parts of India and at least 33 countries in Asia, Africa, Oceania and the Americas. 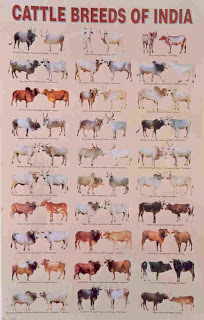 Red Sindhi cattle arrived in Australia in 1954 from Pakistan, as a gift to the Australian Government. 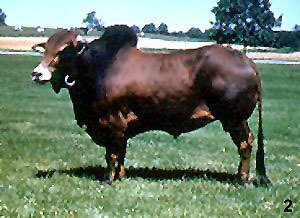 While traditionally considered a milking breed they have been successfully used in crossing systems with British breeds to produce tropical beef types. 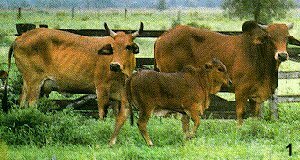 In Australia, they have been an adaptable, hardy breed, good foragers and have a high degree of resistance to heat and ticks.